Checks and balances do not work as the Constitution intended. It’s time to fix that. It is an unfortunate time for people who care about the long-term stability of the United States and its institutions. Special interests craft bills that benefit the few at the expense of the many. Spending bills and tax schemes continue to favor short-term returns over long-term fiscal solvency. Political campaigns are dominated by elite donors with large troves of cash and data. These problems are devastating. If left unchecked, they will contribute to the demise of America and the very institutions that allow millions of people to enjoy a life that is sheltered from tyranny and famine. Despite the serious nature of these problems, they pale in comparison to the threat of partisanship. Partisanship is a plague. It divides the nation, cities, and even families. In the American two-party system, Democrats and Republicans have competing visions about what it means to be an American. I will not dive into the platforms and goals of political parties in this post, but the specifics do not matter much here. The main takeaway is that the parties are focused on achieving policy end-goals, and they have proven a strong willingness to bypass the institutions that protect us from authoritarianism and dangerous policies. Through overreaching executive orders, both sides have proven that they are more interested in achieving party goals than maintaining a system of government based on prudence and skepticism. The Executive’s power has been further solidified with the Appointment Clause of the US Constitution. To at least slow the decay of American institutions for the benefit of all citizens, checks and balances must be restored. The powers of one branch cannot influence the role of another branch. From a young age, Americans are taught that the United States government is special because of its system of checks and balances. Through the clever design of the Benjamin Franklin, Thomas Jefferson, and the other Founding Fathers, power was initially balanced between the Legislative and Executive branches. Fast forward to Marbury v. Madison, and the Judicial branch becomes a balancing power with its role of judicial review. By the middle of the 19th century, the power of a single branch was checked by the power of the other branches. The governmental game of rock-paper-scissors was in full swing. Our current system of government is still structured for this balancing act, but its effectiveness relies entirely on the willingness of judges, executives, and legislators to check the other branches. Furthermore, each branch must be isolated from the politics of other branches to function properly. For a moment, assume that you are a politician who is set on passing a policy that will benefit your constituents and help you get reelected. The policy is popular among your party, but it is also deemed by many constitutional scholars to be unlawful. But you don’t care. Your party has control of both the Senate and the House of Representatives, so you help to pass the bill with majority support. The bill is unconstitutional, but the executive branch doesn’t care either. The President owes his success to your party, so he signs the bill into law without a second thought. The Supreme Court could intervene to strike down the unconstitutional law, but they were appointed by presidents of the party that just passed the new law. They choose political loyalty over checks and balances, and the unconstitutional law remains in existence. This is the problem of partisanship. The ideologies and politics dominant in one branch bleed into the others, and checks and balances don’t function when they are needed most. This problem becomes especially bad when a single party controls the Executive and Legislative branches. For checks and balances to truly work as they were intended, the interests of each branch must generally be independent of the interests of their counterparts. Can these branches realistically become independent? Maybe. Restoring checks and balances will require some large revisions to the way our government operates. Through the Appointments Clause of the US Constitution, the President has the authority to appoint Justices to fill vacancies in the Supreme Court. This presents a problem because the President can use this authority to load the Supreme Court with individuals who either share the President’s ideology or implictly feel that they owe the President some loyalty for the appointment. The Appointments Clause tethers the Supreme Court to the politics of the Executive branch. To improve the independence of the Judicial branch, the Executive branch must not be permitted to choose Justices. The Appointments Clause must be amended in favor of a new system of Justice selection. Some people may argue that the Justice appointments of the President are checked and balanced by the Senate. After all, the Constitution requires that all Justice nominees be approved via a Senate vote after a round of hearings. This process sounds good in principle, but it fails when the party controlling the Senate is of the same party as the President. Partisanship rears its ugly head once again. Just as the Judicial branch must be isolated from the Executive branch, the Executive branch must be separated from the partisanship of the Legislative branch. A President who is loyal to any party will put politics ahead of the long-term well-being of the United States. This political bias may cause the Executive branch to understate the costs of a bill proposed by the President’s party while overstating the costs of those supported by the rival party. For checks and balances to be effective and impartial, the President must be isolated from political whims. Presidential candidates cannot take money from any party. Presidential candidates cannot accept endorsements from political organizations. These rules introduce many difficulties regarding the Constitution (see: Citizens United). Legislation regarding eligibility for candidacy and campaign finance reform would be necessary to make these rules a possibility. You should also take note that these rules do not prevent political parties and presidential candidates from having similar platforms. The intent of these rules is to prevent a President from giving loyalty to a party due to political necessity or fundraising needs. Without this bias, a President and his Executive branch may be more likely to check and balance the decisions of the Legislative branch when necessary. It also works in the other direction. The Legislative branch will be more willing to reign in the powers of the Executive if they do not feel they are harming their own interests. To protect the institutions of the United States, we must adopt systemic changes to ensure that checks and balances truly work in the ways that they were intended. We can remove conflicts of interest that affect this system by reducing partisan politics in the Judicial and Executive branches. I offer two seemingly simple solutions to this challenge, but changes are unlikely to come from within the current political environment. Reform depends on voters awakening to the reality that giving loyalty to any party works against the long-term interests of the United States. If there is hope, it lies with non-partisan freethinkers. Excellent post and describing an exact parallel that is happening in the UK. 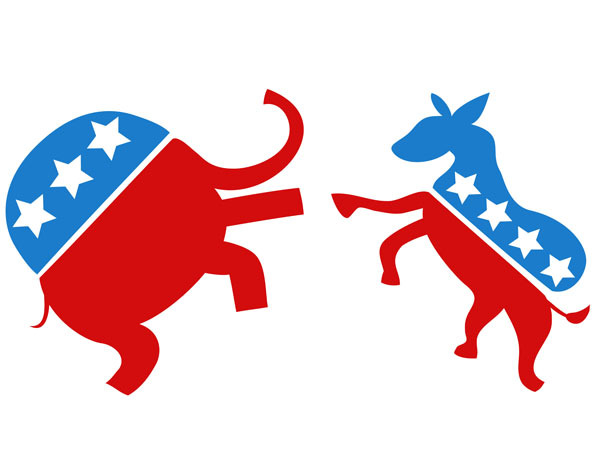 Party and tribal partisanship is outweighing thoughts of national interest. Brexit is a case in point with the people voting to leave the EU but with left wing and liberal parties and groups doing all they can to undermine and overturn the process. Our upper house, the House of Lords is completely unbalanced and some would say … unhinged! It is filled with anti government forces installed by Blair and his cronies from the past. Thank goodness we have a monarch who is politically impartial and underpins our laws (constitution) to the full.